One can enjoy a fantastic and thrilling experience in our fishing tours in India. The beauty of meandering rivers, marshy depressions, plateaus and ravines make up an adventurous fishing tour in India. 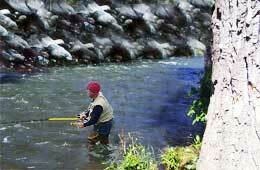 India is a landscape dominated by numerous rivers, which makes it an ideal place for a fishing tour. The Central Himalayan region in the Garhwal and Kumaon hills considered ideal for fishing in India is probably one of the last refuges of truly wild Mahseer fish. The only other area in southern India, a perfect destination for fishing is River Cauvery. The other popular fishing venues in India are : River Cauvery in southern India, Jia Bhoroli river, a tributary of River Brahmaputra in Assam, the junction of Nayar River and the Ganges at Vyas Ghat, Garhwal, the juction of the Sarju River with the River Kali at Pancheshwar, Kumaon, the Junction of the Sarju River and Eastern Ramganga of Rameshwar, Kumaon. 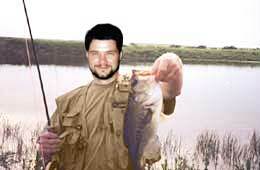 These fishing tour venues provide all the facilities for a comfortable accommodation. The fast-flowing rivers that descend through spectacular mountain valleys in almost continual rapids offer not only tremendous sport of Fishing but also wonderful scenery and solitude to the tourists. The default assumption of the sport lovers is found to be that - the best fishing tends to be in the less explored remote areas. The best time for Mahseer fishing in India is in Autumn from September to November as the rivers become clear after the monsoon and in Spring from March to May when the early monsoon rain raises the level of the rivers again. The Himalayan rivers clear up by the end of September. Each river varies in its characteristic to promote the run of fish and the prediction of dot time for fishing is notoriously difficult. For this reason the fishing tour involves visiting different rivers/venues. Come and explore the adventure and thrill packed in the fishing tours of India organised at a number of fishing venues and Indian rivers. Just enjoy your India travel along with an adventurous spirit. If you are a fishing bug then you would be opening a Pandora's box while being in India.